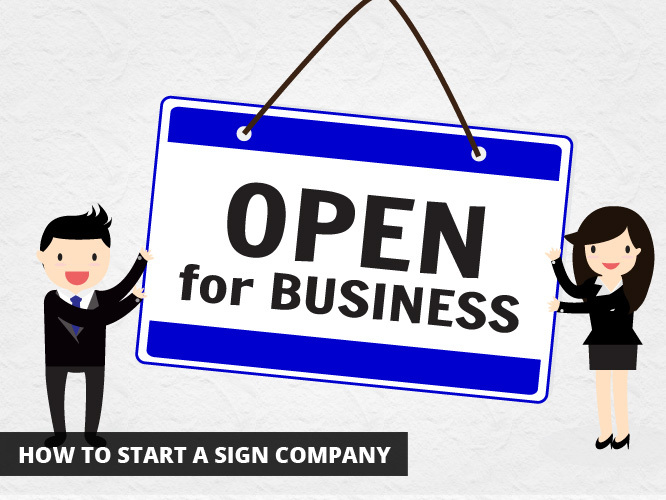 If you’ve made the decision to invest in starting a business, you have made the first step towards starting a successful sign company with a Sign World franchise. Sign World makes the franchising process easy for each and every one of its owners. Here is what we do for you to help you get started up. First of all, you will want to make sure that you are prepared to open a Sign World franchise in a location that has plenty of businesses established. The sign industry is largely business to business, so you will want to ensure that you are going to be located somewhere that has plenty of potential clients for you to advertise to. Once you have selected your location and are prepared to start your business, you are ready to get started. With a $195,000 investment, Sign World sets up its franchisees with everything from the equipment and software necessary to run a signage business to the start up costs of a website, furniture and utility hook ups. Working with Sign World is easy to do. While you might be interested in starting a business, you might not already have the skills necessary to run a successful sign business. That is why Sign World provides its new franchisees with a four week training course, in addition to regular ongoing support, weekly updated training webinars to help guide you along your path to success, and the yearly three day convention to keep you at the top of your game. The training that Sign World provides includes the following. Technical training on the actual processes necessary to make signs using hardware and software; operations training that goes over pretty much everything you need to know about running business operations; sign making and installation training; supplier training during which you will get to visit with suppliers and learn how to interact with them; point of sale training through the weekly group webinars; on the job training and on site training. This absolutely extensive list takes care of training you on all of the skills and knowledge necessary to run a successful business. This means that you run a Sign World franchise, you do not need to have a commerce background already. Our franchisees come from many different backgrounds, but what they all have in common is an entrepreneurial spirit, a desire to learn and to be successful business people. One of the key skills that Sign World ongoing training and support provides you with is marketing. Not everyone knows how to best market their business, so this is something that you will have help with. Not only will it help you with your own business, but it will also give you the ability to better aid your clients when they come to you with questions about how to market their business through your signs. Sign World even offers internet marketing training in addition to providing you with a website. This is a skill that is essential in the twenty first century. We will teach you how to reach out online to potential clients, and how to spread the word about your business. The yearly convention put on for Sign World franchisees gets better every year. You will have the chance to meet and network with others in the field, and even get a chance to speak with some of the top suppliers so that you can grow your business. If you want to learn more about how to start a successful sign company, check out our main page for full details on the franchising process, what you can do to keep our tradition of excellence, and what we can do for you to help you build a successful business career.